ACUROSIL NANO+ is an eco-friendly, multi-component oxidising disinfectant; scientifically formulated using a stable combination of hydrogen peroxide (H2O2) and silver (Ag) ions to create a highly effective sanitising solution. This synergistic combination between the hydrogen peroxide and silver is so effective that it creates a biocide twenty times more powerful than that of hydrogen peroxide alone. 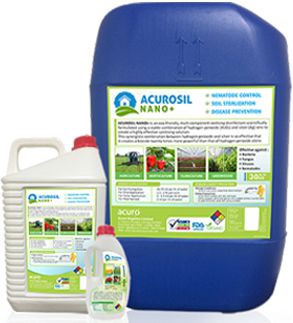 ODOUR In dilution, ACUROSIL NANO+ is odourless. In concentrated form, it gives off a scarcely perceptible smell. 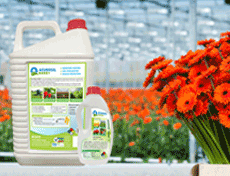 BIO-DEGRADABILITY ACUROSIL NANO+ is non-polluting. Its main constituent disintegrates into water and oxygen.